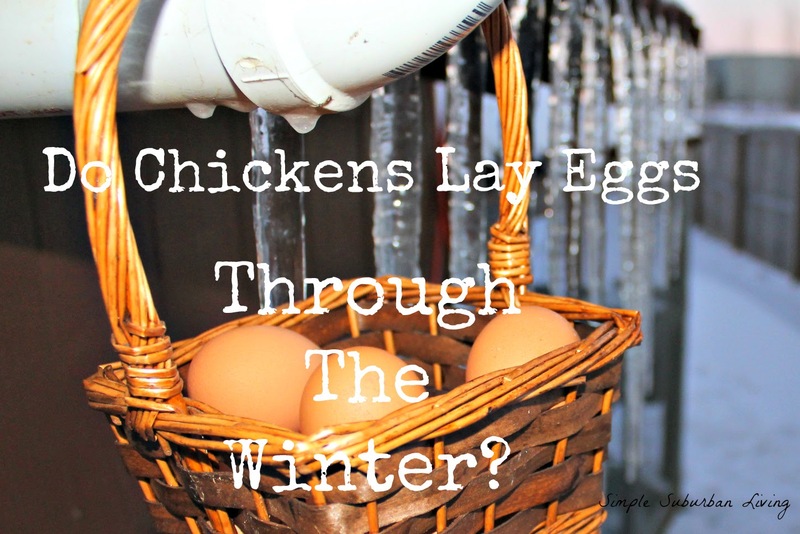 Check out this video to learn more about raising chickens in the winter. Will they lay eggs when it is cold? Do they need a certain amount of light? How warm should it be? How will they get water in the winter? These are many of the questions that I had going into this first winter with the chickens and I couldn't be happier with our coop, watering system, feeder, and heat lamp. The chickens have been providing us with plenty of eggs for a family of five throughout this very very cold winter. We have six ISA Brown breed chickens and every day we go out to the coop (well maybe not every day) and there are six eggs waiting for us. This year we have had a very cold winter, I mean, really cold! For the last couple of weeks it has not been above 10 degrees Fahrenheit (-12c) and the chickens have kept on laying! The only issue we have had is if we don't get the eggs in 24 hours they will freeze in the nesting boxes. This could be solved with some extra pine shavings or paper shredding I just haven't gotten around to it yet. The other issue that I was curious about was lighting. I had installed some solar lights in the coop but since the little solar panels are covered in snow and the batteries don't seem to charge very well in the cold; the light s have not really been working much. The only extra light they get is from the heat lamp when it is on. It is hooked up to a thermostatically controlled outlet that turns it on when it gets to 32 degrees (0c) and then turns off once it warms up to 45 degrees (7c). During the coldest days they pretty much don't come out of the coop except to eat then quickly get back into the warmth. I feel that the addition of the heat lamp in this case is helping them to lay more by creating a nice warm nesting area for them (no science here just opinion). The only other issue that we have had was with the watering system during the coldest periods. When it was down well below 0 degrees (-17c) with wind chills close to -25 (-31c) the heat tape and insulation could not keep up. The water pipe froze almost solid but not enough to break the pvc at least as far as I can tell so far. The inside part of the pipe also froze and no water was coming out for the chickens at all. I may do some redesigning on this heat system for next year but as long as it is not insanely cold for the rest of the winter it should work ok.
We have been so happy with the decision to get these chickens. They require minimal upkeep and provide us with so much. It is so nice to always know there is a free breakfast, lunch or dinner waiting in the fridge in the form of recycled cartons full of fresh eggs from our girls.